Load Simulating — Dominion Technologies Group, Inc. 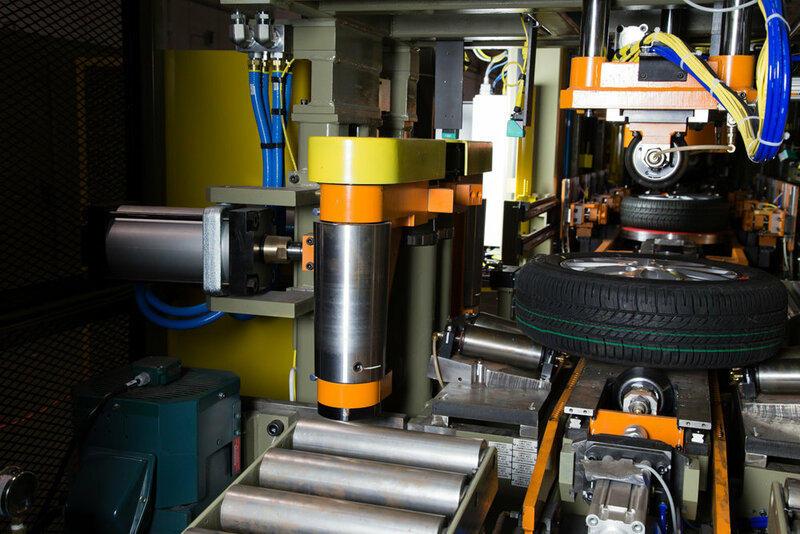 The load simulator is integral to Dominion's tire and wheel system or can be configured as a stand-alone station for simple integration into our customer's process. The load simulator provides a benefit for bead seat improvement. The load simulator is designed to simulate the road weight of a vehicle in a dynamic condition to exercise the assembly prior to mounting it on a vehicle. A load is applied to the tread of the tire as well as a side load on the top and bottom of the tread to simulate cornering of the vehicle under loaded conditions. The applied load is adjustable depending on product size. As an option, the machine can be configured for programmable loading based on broadcast information.